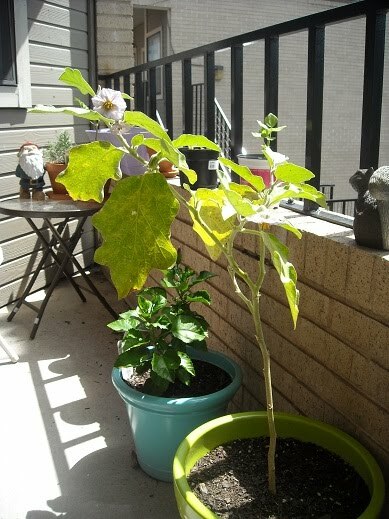 It has been a while since I updated about the condition of my container garden, mainly because not a whole lot has been going on in that department. 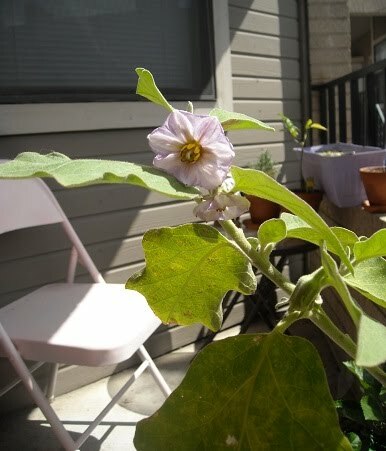 All of my eggplant blossoms end up dropping, and I'm just waiting for things I planted as seeds to grow. 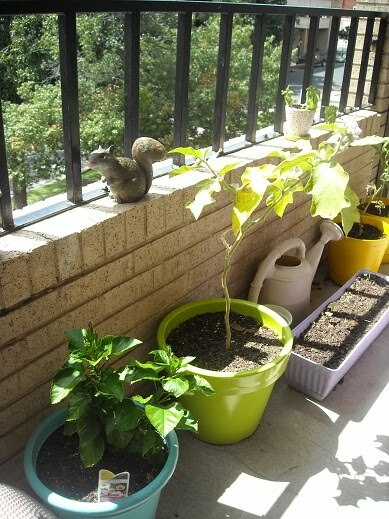 L to R: hibiscus, eggplant, window box with spinach, radishes, and carrots, Russian heirloom tomato, red and green bell peppers(cut off). 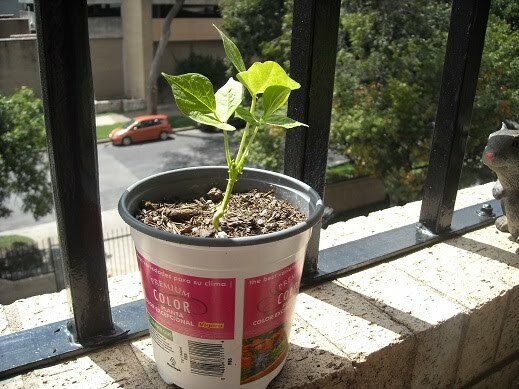 Miserable basil plant in the pot on the ledge. Despite dropping all of it's blossoms, the eggplant continues to try to produce. There are another six buds on this plant right now, only a week or two after it dropped all six of the previous blossoms. I'm still hoping I will get a fruit eventually before it gets too cold. The carrots, radishes, and lettuce are continuing to grow, and the spinach has finally germinated. Finally! No luck with the lavender so far, but it might end up like the butterhead bibb lettuce and all of a sudden decide to germinate and take over the container. Another trooper in the garden is my Russian heirloom tomato. There have been so many times where it lost (almost) all of it's leaves, but time after time it starts back up again. After I transplanted it, it was a sad sight, but it has just recently started to grow again, and there are already three or four blossoms.